for outdoor use. View larger. 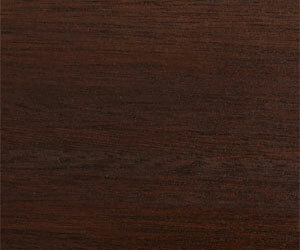 Crafted from solid eucalyptus with a lovely dark-brown stain. View larger. Coordinates beautifully with the Strathwood Redonda two-seater bench (sold separately). 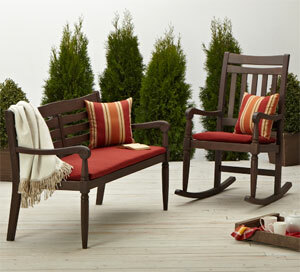 Create a welcoming outdoor retreat with pieces from the Redonda collection. View larger. 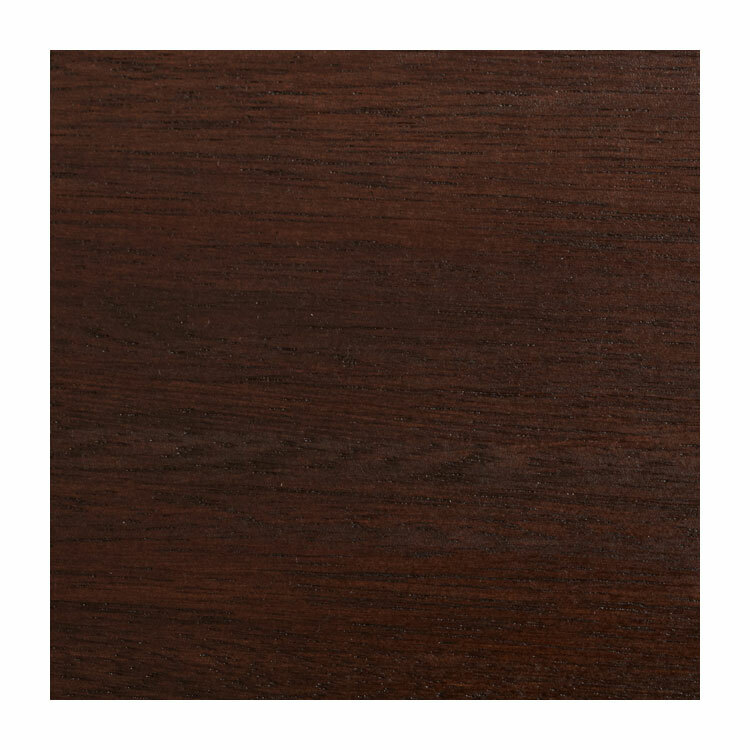 The Strathwood Redonda collection features handsome furniture with superb weather resistance and maintenance-free care, making it ideal for outdoor use. As part of the Redonda collection, this lovely rocking chair infuses comfort and style into any outdoor living area. Whether placed in the garden, on the front porch, or out on the back deck or patio, the bench creates a welcoming space to catch up with a friend, enjoy a good summer read, or sip wine while star gazing on a clear summer night. 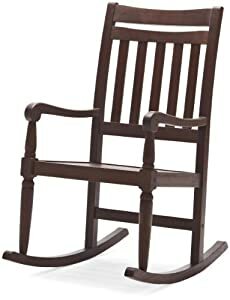 Crafted from solid eucalyptus with a dark-brown stain, the charming rocking chair features horizontal and vertical slats, slightly curved arms, and gently flared square back legs and cylindrical front tapered legs that connect to a curved piece for smooth rocking. 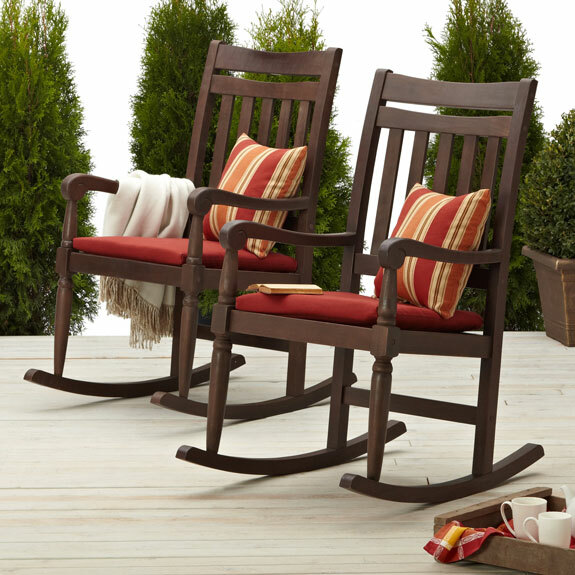 Furthermore, the classic hardwood rocking chair coordinates beautifully with the Strathwood Redonda hardwood two-seater bench (sold separately). 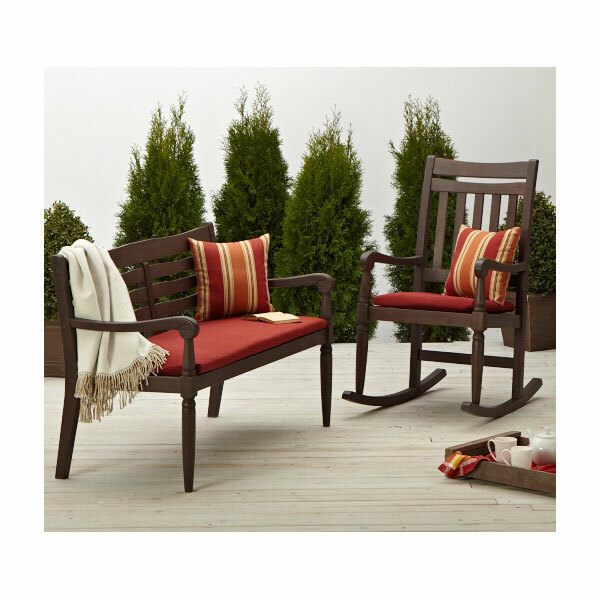 A Strathwood seat cushion (sold separately) can be added to the chair for enhanced comfort and good looks. Overall, the rocking chair measures 35 inches long by 24 inches wide by 45 inches high and weighs 35.3 pounds. Some assembly is required. 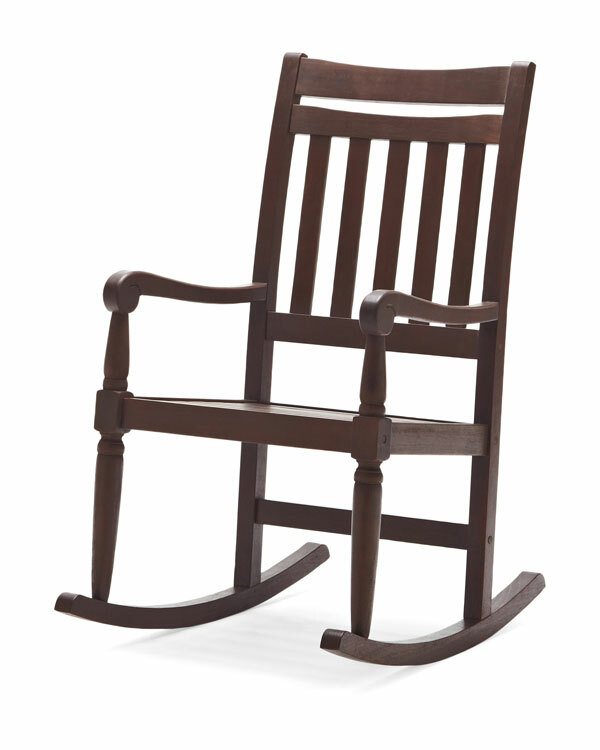 Care and Cleaning: The rocking chair should be brought indoors or securely covered during inclement weather and stored in a dry place when not in use.